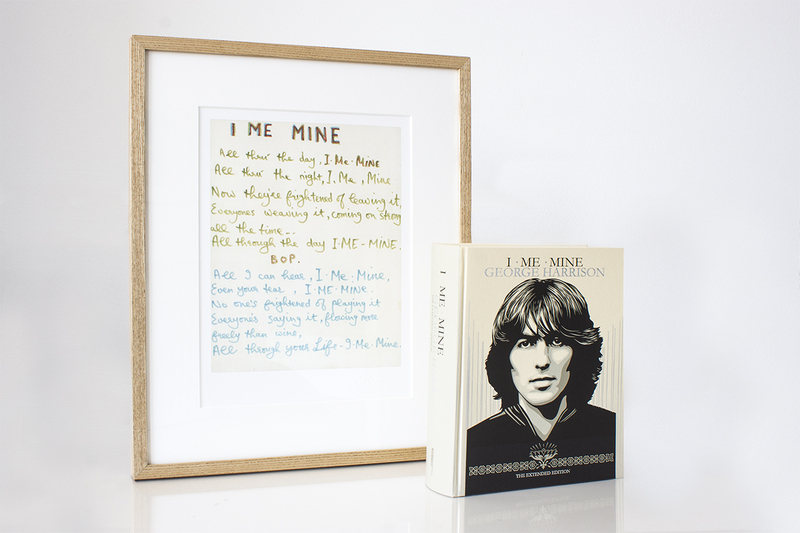 'I Me Mine' was the last new track recorded by the Beatles for Let It Be in April 1970 just before the band split. Ten years later it became the title of George Harrison's autobiography. 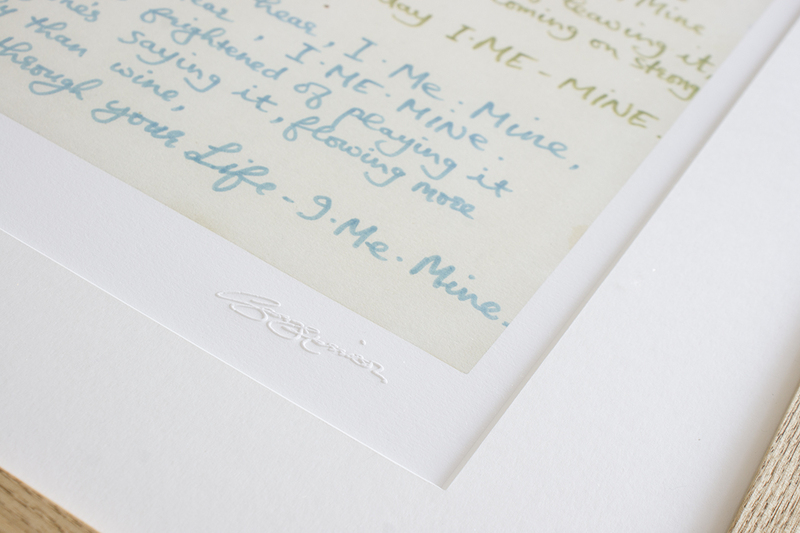 The Open Edition Lyric Print - $750. Buy online here. 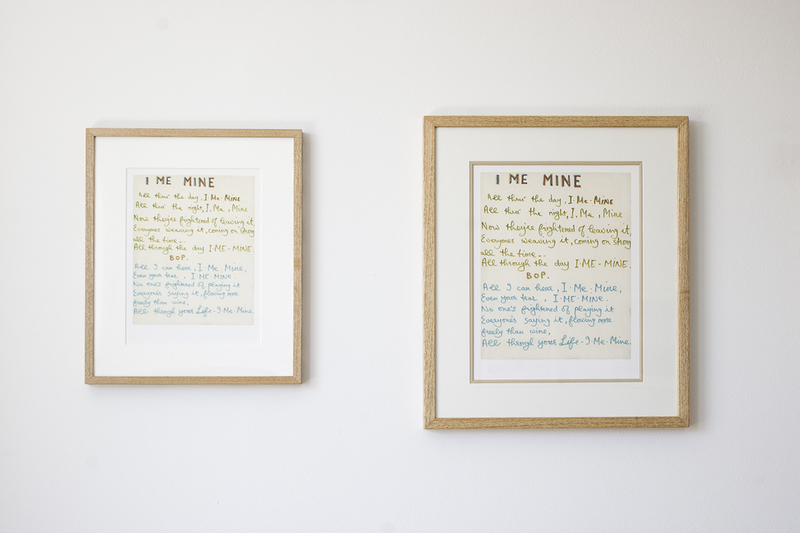 The Limited Edition Lyric Print - $1500. Buy online here. Email sales@hedleysbooks.co.nz or ring 06 378 2875 to pre-order.